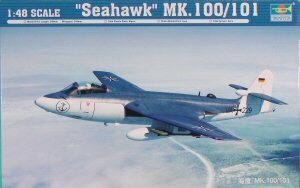 The Federal German Navy adopted the Mk.100 strike fighter and the Mk.101 radar reconnaissance variant. 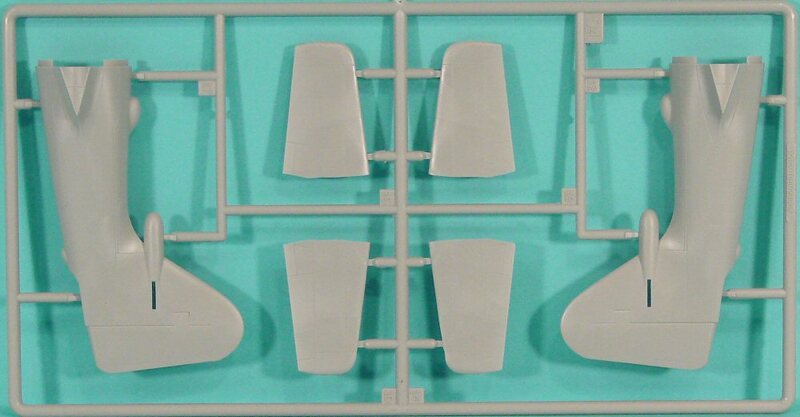 These were identifiable by an enlarged vertical stabilizer for additional yaw stability. 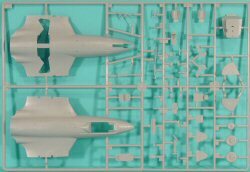 Back in mid-2004 , Classic Airframes released this subject in 1/48 scale and it wasn't a bad kit, though it was targeted for the modeler experienced with resin and limited run injected styrene parts. Take a look at our in-box and build reviews. 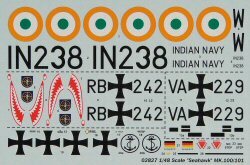 Classic Airframes had also released the Seahawk FGA.6, as did Trumpeter last May ( look here). 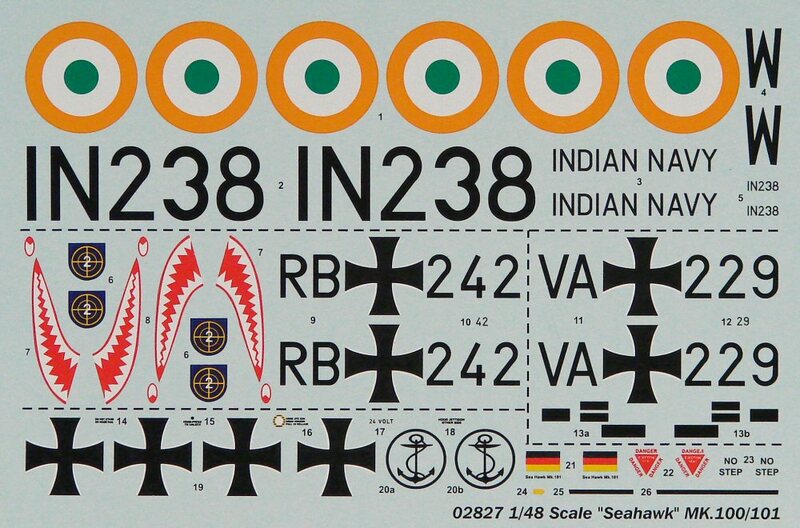 Well Trumpeter has released this subject in the same scale and this time, the kit is targeted for the average modeler. 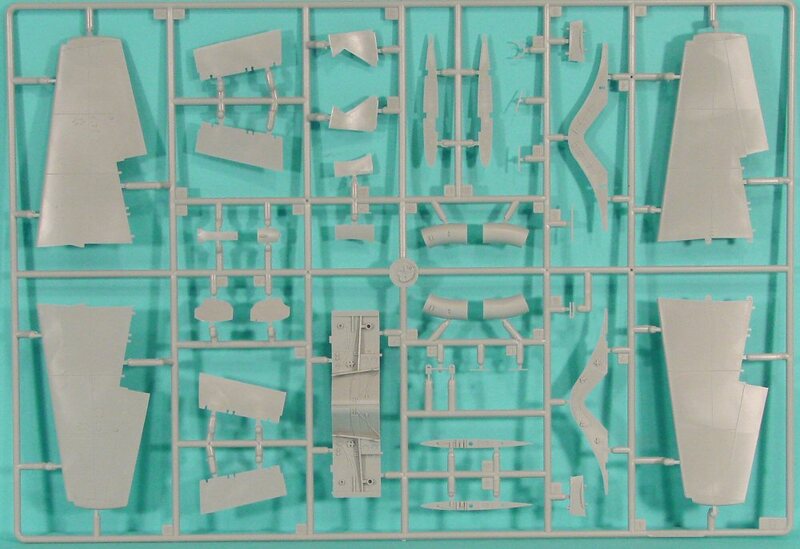 The kit consists of five parts trees molded in light gray styrene and a single tree of clear parts. 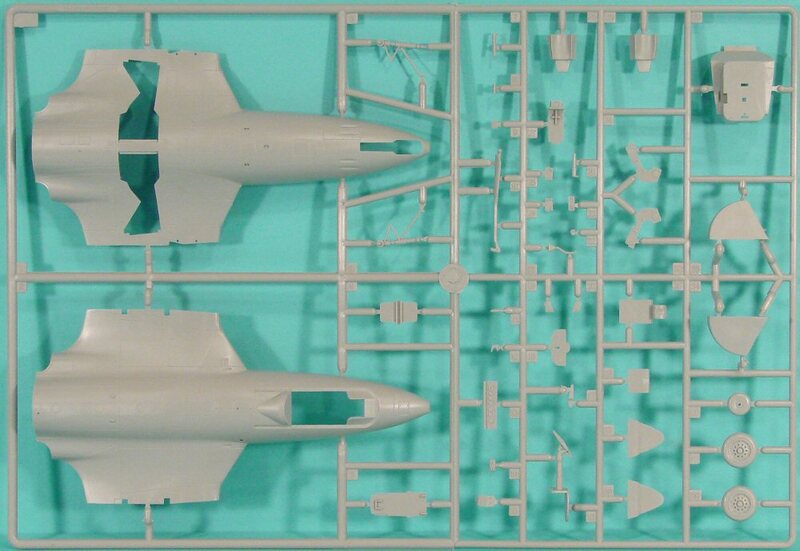 A small fret of photo-etch is also included that provides two parts - an instrument panel face (accompanied by acetate-printed instrument faces) and a part that represents the seatbelts and shoulder harnesses for the ejection seat buckled together. This is about as easy as it comes. 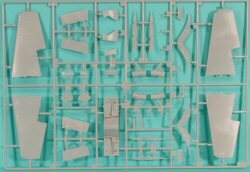 This is another nice offering from Trumpeter and this provides a mostly-styrene option for this subject for those modelers uncomfortable with resin or limited run kits.